Ok, it's kind of a BIG announcement for us. Drum roll please...Josie is going to be a big sister! And I know she's going to be just as wonderful of a big sister to this baby as Leanne was to me. This little bundle of joy doesn't know how lucky he/she is! Come August, our little family is going to have a new member and we feel so incredibly blessed and thankful. Alright. That's enough excitement for one day. Goodnight! "Was Josie going to be a big sister"
But I think hint #2: brother? Yay, so excited for you guys. Good age gap! Actually a little to mathematically challenged to work out the age gap, but seems close. I can just imagine Leanne's excitement that her little sis is pregnant, wonder what sage advise is coming! holy cow it's going around our community isn't it?! how far along are you? i'm 17 weeks! Congratulations! That is so exciting! I just know sweet Josie will love being a big sis- our little Violet loves babies, too! I bet Aunt Leanne is stoked. I wonder what the baby's nickname will be??? Congratulations! Josie is going to be such a great big sister...can't wait to "meet" this little one here on your blog! yay congratulations!!!! #1 says girl and #2 says boy or umbilical cord...totally confused??? 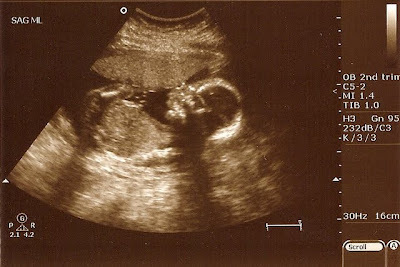 :) I think a repeat sonogram is in order before you buy blue or more pink! So fun for all of you and yes, Josie will make a great big sister! Congratulations! Addison is joining big sisterhood in September....it'll be so much fun to see our second babies so close in age as well! Congrats!!! I am very excited for you all! WooHoo! This is awesome news! How far along are you? Congrats to the three of you! August!!! That's like in a minute!!!! 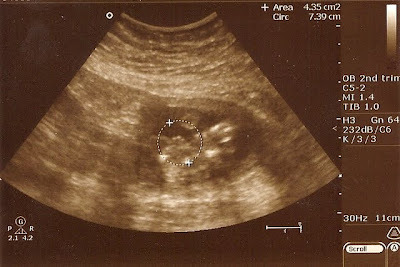 And I'm ultrasound challenged, what the answer!!!! Congrats!!! I think girl too! Thats just because I have 4 pics a little boys, and I'm not seeing anything!! Ohhh, congratulations! You are blooming. Having a sibling has been the best possible thing for our son, and they are the very best of friends. How fun! Oh you are good at keeping surprises. Twins...#1 totally looks girl #2 is a possible boy. Going with girl! Congratulations! So happy for all of you! Shame on you for showing your new baby's 'privates' to the whole world before he/she is even born!! LOL, just kidding! Congratulations! What a joy! I'm due mid-July so we're close. Congrat!! Josie should be a model. She takes the best pictures. Her smile is so infectious! Is she ever unhappy? Congratulations to you all. I'm sure Josie will make a wonderful big sister! Woo Hoo!!! Congratulations!! Very exciting! 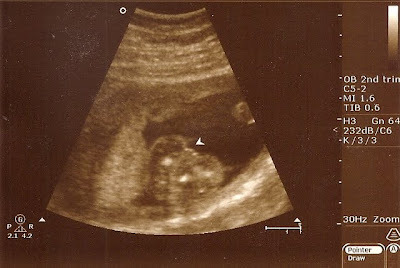 Judging from the ultrasound, I'm guessing your instincts (and Leanne's bowling friends!) were right?? Congratulations. That is fantastic news. Josie will be a great big sister. I bet Aunt Leanne is over the moon with excitement. :) She'll have another fabulous nickname to come up with. Wooohooooo!! I am sooo excited!! It is so funny to me how I can feel connected and be so excited for a family I only know through the written word and pictures!!! I would love to hear Leanne's feelings about all of this!! So happy for all of you!!! I want to be happy, but I am worried. 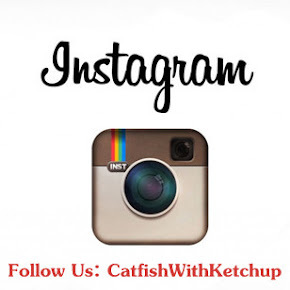 With Catfish getting into more mischief daily & the new baby....will Cheeseburger be getting less coverage? Because I really really look forward to your posts about her! Every single post about her puts a smile on my face!!! I missed your big announcement somehow. CONGRATS!!! I have no idea boy or girl. Fantastic news! I know Josie is going to be a FANTASTIC big sister! So excited for you!!!! Woo Hoot! Totally so excited! Yippee!